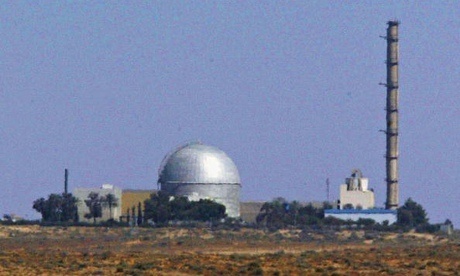 Israel’s nuclear reactor at Dimona. The Israelis deem the agreement insufficient for denying their arch-foe the means to eventually get the bomb – something that Tehran, which is a signatory to the 1970 nuclear Non-Proliferation Treatry (NPT), denies wanting. Israel, which is outside the NPT, neither confirms nor denies having the bomb, a decades-old “ambiguity” policy that it says keeps hostile neighbors in check while avoiding the kind of public provocations that can spark regional arms races. The premier credited Peres, his predecessor and a Nobel Peace laureate who died in 2016, with setting up the reactor in the 1950s as part of a vision of “normalization between core countries in the Arab world and a strong State of Israel”. “This process … is happening before our very eyes, on a scale that would have been impossible to imagine just a few years ago,” Netanyahu said, alluding to Israel’s discreet relations with Gulf Arab powers that see Iran as a common foe. Who will dare to apply atomic nuclear weapon?